Home » Diabetes » What Is Diabetes? Diabetes is a condition in which the body fails to make or properly use insulin. Insulin is a hormone the body uses to convert starches, sugar, and other food products into energy for the body to use to allow it to function properly. The four major types of diabetes are Type 1, Type 2, gestational, and pre-diabetes. World-wide, diabetes affects huge numbers of people. In the United States alone, over 6% of the population — roughly 18 million people — are diabetic. While the exact causes remain a mystery, researchers have discovered certain symptoms. These symptoms include extreme thirst and hunger, frequent urination, blurred vision, weight loss, fatigue, and irritability. For people with Type 1 diabetes, insulin must be taken every day. 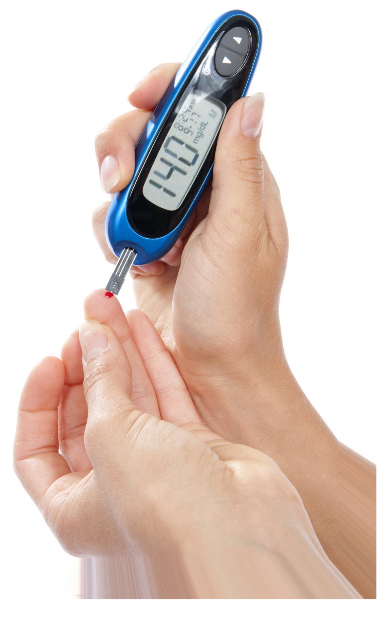 A diabetic will generally administer the insulin shot using a syringe or have someone else administer the shot for him. This type is more common in Caucasians and in people who live in colder climates. Type 2 diabetes can often be controlled by monitoring the food one eats and by partaking in regular physical exercise. Some Type 2 diabetics may also need to take insulin shots or pills to regulate their blood sugar levels. Obesity is a major factor in developing this form. If a person has an unhealthy diet of fatty food and exercises infrequently, he or she may be walking a path that will lead directly to this disease. Pregnant women who become diabetic during their pregnancy have what is called gestational diabetes. This form of the disease affects approximately 4% of all pregnant women in the United States. Women who become diabetics during their pregnancy are likely to have a family history of the condition. Obesity again may play a factor. Pre-diabetes is simply a term for an individual who has blood glucose levels higher than normal. People with this condition are not quite at diabetic levels, but are more likely to develop the disease. Though children of diabetics will not necessarily inherit the disease from their parents, research has shown that these children are more likely to get it than children of non-diabetics. Type 1 is also less common in people who were breastfed as infants. Diabetes is a serious disease which can lead to heart problems, strokes, loss of limbs due to poor circulation, and death. Research continues to indicate that regular exercise and a healthy diet are two factors which can help people avoid this condition, as well as allow diabetics to have functional lives. Anyone who experiences some of the symptoms of diabetes should seek the advice of a medical professional. Unfortunately, millions of people across the globe have the disease, but it goes undetected because they ignore the symptoms and do not seek medical attention. By diabetesdoctors in Diabetes, What Is Diabetes? on December 9, 2012 .